Tracey McGee is running the 2019 Boston Marathon on April 15th to raise money for Ryan Shaughnessy and his family. 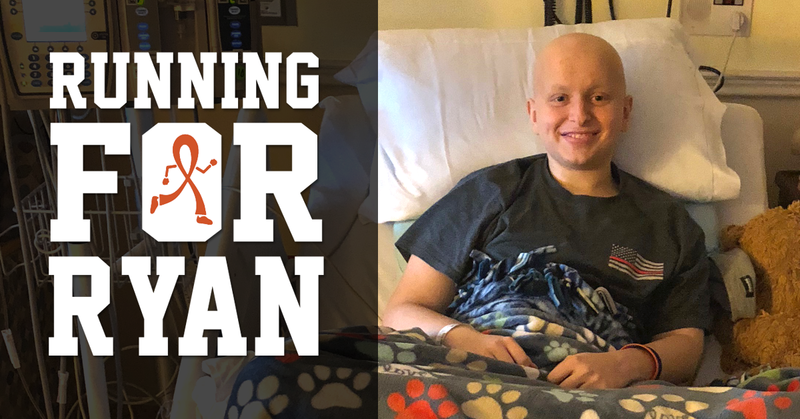 Ryan is currently battling Acute Myeloid Leukemia. On Wednesday, September 12th, a local Shrewsbury, NJ family was given the terrifying news that one of their 3 children (Ryan) was diagnosed with AML-Acute Myeloid Leukemia. This type of leukemia is very aggressive and requires intensive chemotherapy. Ryan has been at Hackensack Medical Center since his diagnosis and is not expected to be able to come home until later this Spring. This arduous journey will take an enormous emotional, mental, physical, and financial toll on the family. Ryan's hospital is one hour away from their home. The family has two younger siblings who are in school and have numerous after school activities. Mom, Melissa, is a stay at home mom who is now living at the hospital with Ryan until he can permanently come home. Her husband, Rob, works full-time as a NJ State trooper and is managing the logistics of everything at home. Childcare, transportation, food, co-pays and out of pocket medical expenses will be enormous. On behalf of Life Guard Ecumenical Foundation, and in keeping with our mission of helping our fellow neighbors in need of assistance, one of our supporters, Tracey McGee will be running the 2019 Boston Marathon for the Shaughnessy Family to help off-set their mounting out of pocket medical bills and expenses. Any support for this wonderful family is much appreciated!